Before the three Grammys, and before becoming the first female songwriter in history to win the Country Music Association's Song of the Year Award and the CMA's Female Vocalist of the Year, K.T., (then known as Kay) sang at the Jester. A lot. In the early 1960's she sang with David Jones and later with Frank Davis and of course, solo. Kay also performed in Houston area musical theater, most notably for me, in 110 in the Shade with Scott Holtzman at the Houston Theater Center, the first live theater I ever saw. In the 70's after a series of jobs in New York on Broadway, she began doing ad- jingle singing and appearing in TV commercials and working on her songwriting. 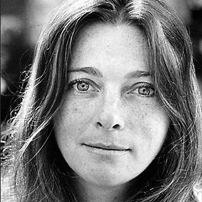 In 78' she sang harmony on a Guy Clark album and was signed by Elektra Records in 81'. 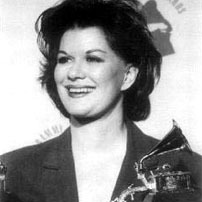 While her original songs were becoming popular with other artists, it wasn't until 1987 that her 80's Ladies put her in the Top Ten and won her a Grammy for Best Female Vocal. More Top Ten songs and awards followed, along with film and television guest starring roles. Her USO tour became the basis for her first cable special and one year later she hosted the country music community's first AIDS benefit concert. A multi-talented artist. A noted singer/songwriter, Big Daddy Banjo player, inventor, artist, wild child and truly one of a kind. 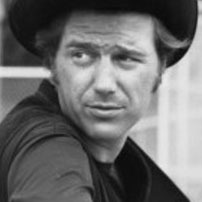 A regular at the Jester, Frank would give Kay Oslin rides to gigs on the back of his motorcycle, and became good friends with Guy, Jerry Jeff, and Lightnin'. I had the pleasure of interviewing Frank, who was a great storyteller, on the Pacifica Radio Mixed Bag show in Houston in 1970. The Big Daddy Banjo - in case you're wondering - is a Fender guitar neck attached to a tenor snare drum in place of a traditional banjo body. Awesome to hear, and an invention of Frank's. The recorded duets I have heard with Kay and Frank are beautiful. In the early 1960's, Scott and Vivian stopped in Houston on their way from California to Nashville, and never left. Instead of going to Nashville and writing country western songs as they had planned, they became a part of the growing folk music and musical theater scene in Houston. Scott and Vivian were successful songwriters, and had written songs for Tex Ritter, The New Christy Minstrels (Gotta Quit Kickin' My Dog Around) and many others. Scott and Vivian sang for several years at the Jester and later moved on to the world of rock n' roll, writing most of the songs for, and producing/managing for the Fever Tree ( San Francisco Girls) and later managed and produced Diane Kolby (Holy Man). Scott and Vivian both are featured on the Look, It's Us! album. Ken Roberts and Judy Stewart met and began singing together in late 1962. By early '63 they were singing at The Jester as regulars. They loved the audience and the feeling was mutual. Because of their growing popularity, they were in demand at Houston area venues. The Cork Club, The Colonel's Quarters, Foley's Department Store fashion shows and Rally for The Alley along with area television appearances kept the duo quite busy. Their mix of traditional and contemporary folk songs, and seamless harmonies gave them a unique, yet familiar sound. They are featured on the "Look! It's Us!" Jester album. 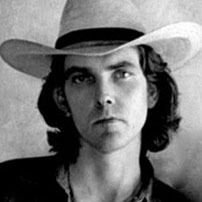 Guy Clark is a Texas country western and folk singer, musician, songwriter, recording artist, and performer. He has released more than 20 albums, and his songs have been recorded by other artists including Jerry Jeff Walker, Jimmy Buffet, Lyle Lovett, Ricky Skaggs, Steve Wariner and Rodney Crowell. 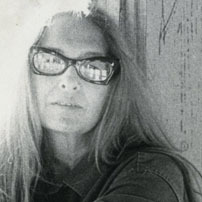 Emmylou Harris has accompanied him on several recordings, including his own version of Desperadoes Waiting for a Train which is included in the Top 100 Western Songs Ever Written, and was recorded by The Highwaymen (Willie Nelson, Johnny Cash, Waylon Jennings and Kris Kristofferson). Other songs by Clark include LA. Freeway, New Cut Road, Heartbroke, Oklahoma Borderline, and The Carpenter. Guy performed for many years at the Jester and was on the album of Jester regulars, Look It's Us!, In 2014 Guy Clarke was awarded the Grammy for Best Folk Album: My Favorite Picture of You. Some artists are influential because so many followers try to imitate them; others are influential because they cannot be imitated. Lightnin' Hopkins was of the latter variety. Lightnin' began playing at the Jester shortly after it opened and played there off and on for many years. Always a welcomed as a favorite at the Jester, Lightnin' had already debuted by then at Carnegie Hall in 1960 with Joan Baez and Pete Seeger. It has been estimated that he recorded between 800 and 1000 songs during his career, one of those being on the Jester, Look, It's Us album. Rolling Stone magazine included Hopkins on their list of 100 Greatest Guitarists of all Time. As a side note, Hopkins recorded the album Free Form Patterns in 1968 backed by the rhythm section of the Houston rock band the 13th Floor Elevators. Pancho and Lefty. I really don't need to say any more, but I will. Townes made his way to the Jester sometime in 1965 and was paid the then princely sum of $10 a night to perform (his first paying gig), mostly doing covers of Bob Dylan and Lightnin' Hopkins songs. He met Guy Clark, Lightnin', and Jerry Jeff there, and would later go on to record the album Live at the Jester Lounge: Houston, Texas 1966. 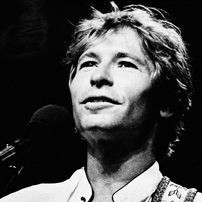 The late 60's and early 70's were a highly productive period during which he wrote and recorded Pancho and Lefty, To Live is to Fly, and If I Needed You. Emmylou Harris, and Willie Nelson with Merle Haggard would go on to have huge country hits with their versions of his songs. Another album, some say his best, was recorded in 1977, Live at the Old Quarter, Houston, Texas. 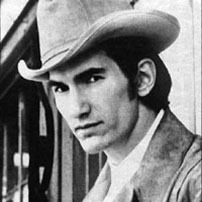 Van Zandt is featured prominently in the documentary Heartworn Highways, along with Guy Clark, David Allen Coe and Charlie Daniels. Jerry Jeff made it into the Jester in the mid-60's and became lifetime friends with both Guy Clark and Townes Van Zandt. Walkers' "Mr. Bojangles" is perhaps his best known song that has been covered by everyone from Nina Simone and Sarnmy Davis Jr. to Bob Dylan. 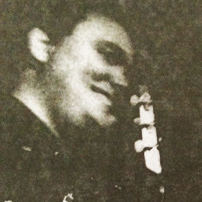 Walker has also covered songs written by others that include "LA Freeway" (Clark), "The Heart of Saturday Night" (Waits) and "Up Against the Wall Red Neck Mother" (Hubbard).Walker has developed a style of music he calls "Cowjazz" as can be heard in the poignant "Eastern Avenue Railway Blues". Jerry Jeff has an annual birthday bash in Austin Texas that has become a huge annual event, bringing in some of the biggest names in country music. 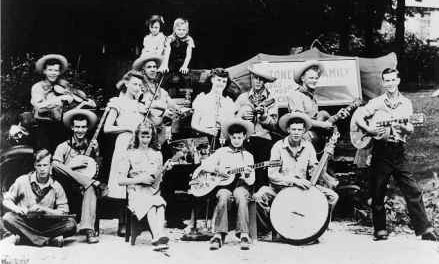 The Stoneman Family originated with Ernest V. ‘Pop’ Stoneman in a log cabin near Monarat, Carroll County, Virginia who learned to play guitar, autoharp, banjo and harmonica and showed a talent for quickly learning songs that he either heard or read in early songbooks. He made his first recordings for OKeh in September 1924, including his million-seller, ‘The Sinking Of The Titanic’. It proved to be one of the biggest hits of the 20s and has since been recorded by many artists, including Roy Acuff. Owing to The Depression, he did not record between 1929 and 1933, but even so, he had proved so popular that between 1925 and 1934, he had still recorded over 200 songs. Some of his children learned to play instruments during childhood and when, after the war, he gradually began to return to entertaining, his band was made up of his wife and their own children. After ‘Pop’ Stoneman’s death, his daughter Patti gave up her solo career to join with Donna, Roni, Van and Jimmy and performed as the Stoneman Family. They did albums for Starday in 1962 and 1963 and in 1964, went to Texas and California, cutting an album for World Pacific, playing at Disneyland, performing on some network shows and at several folk festivals. In 1965, they went to Nashville, where they signed a contract with MGM Records and started a syndicated TV show. They received CMA's "Vocal Group of the Year" in 1967. Pop Stoneman died in 1968 at age 75. He is interred in the Mount Olivet Cemetery in Nashville. Mance Lipscomb was an American blues singer, guitarist and songster. 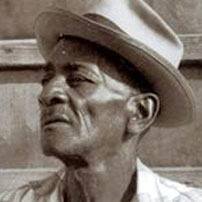 Born Beau De Glen Lipscomb, in his youth he took the name "Mance" (short for "emancipation"). Lipscomb spent most of his life working as a tenant farmer in Texas and was "discovered" and recorded in 1960 during the country blues revival. Lipscomb often honed his skills by playing in nearby Brenham, Texas, with a blind musician, Sam Rogers. His debut release was Texas Songster (1960). Lipscomb performed old songs like "Sugar Babe," "Shine On, Harvest Moon" and "It's a Long Way to Tipperary". In May 1963, Lipscomb appeared at the first Monterey Folk Festival in California. 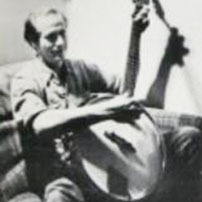 Following his "discovery", Lipscomb became an important figure in the folk music revival of the 1960's. An annual Navasota Blues Festival is held in his honor, and on August 12, 2011, a bronze sculpture of him was unveiled in Mance Lipscomb Park in Navasota. American singer-songwriter, actor, activist and humanitarian whose greatest commercial success was as a solo singer, starting in the 1970s. He was one of the most popular acoustic artists of the decade and one of its best-selling artists. By 1974, he was firmly established as America's best-selling performer, and AllMusic has described Denver as "among the most beloved entertainers of his era. 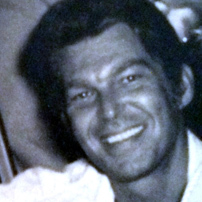 Denver began his music career in folk music groups in the late 1960s. Throughout his life, Denver recorded and released approximately 300 songs, about 200 of which he composed, with total sales of over 33 million earning him twelve gold and four platinum albums with his signature songs "Take Me Home, Country Roads", "Annie's Song", "Rocky Mountain High", "Thank God I'm a Country Boy", and "Sunshine on My Shoulders". The Colorado state legislature adopted "Rocky Mountain High" as one of its state songs in 2007. 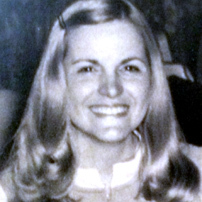 Collins experienced the biggest successes of her career with her cover of Stephen Sondheim's "Send in the Clowns" earning her a Grammy nomination for Best Female Pop Vocal Performance after her Grammy win for “Both Sides, Now” in 1969. 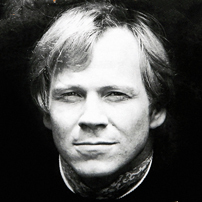 In 1963, Barry McGuire and Randy Sparks (founder of The New Christy Minstrels) co-wrote, and sang lead vocal on, the Christy's first and biggest hit single: "Green,Green." He left the Christy's in 1965, after recording the album, Cowboy's and Indians and the title cut on the album Chim Chim Cher-ee that same year. As a folk rock solo singer, he was best known for his hits "Eve of Destruction" and "Sins of the Family". In September of 1965,the single of "Eve of Destruction" went to number 1 on the Billboard Hot 100, knocking "Help!" by the Beatles out of the top spot on the chart. McGuire later went on to become a pioneering singer and songwriter of contemporary Christian music. 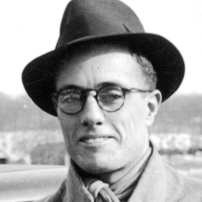 Son of the legendary John Lomax, John Jr. traveled throughout the country with his father and brother Alan in the 1930's, helping him to gather folk song lyrics and recordings. In the 1950's, he founded the Houston Folklore Society which held regular meetings for many years and staged folk music concerts around the Houston area. In the 1960's, John sang at The Jester, and did so a cappella, as was his way. He felt that most of the traditional folk songs began unaccompanied, as they were first sung by field hands, prison work gangs, and cowboys on horseback, and so he performed them that way. 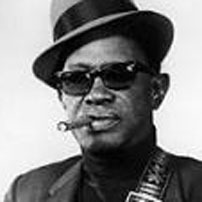 He managed Lightnin' Hopkins, and was instrumental in introducing Mance Lipscom and Zydeco accordianist Clifton Chenier to national and later international audiences. He also introduced all three men to filmmaker Les Blanc, which resulted in the documentary films The Blues According to Lightnin' Hopkins, A Life Well Spent (Mance Lipscom), and Spend It All (Clifton Chenier). As can be seen on the Music page of this website, John was kind enough to write the album notes for the Look, It's Us! album produced by Scott and Vivian Holtzman. Arthur Hodges, Sarah Wiggins, Jim Gunn, Jenny Bell Dean and Alex Martin were and are important members of the Jester family. Bios for each will be added as information is found. If you have knowledge or photos of these artists, or of the Jester Lounge itself, please send it along as it would be a welcome addition to this project.